Why Is Wholesale Distribution Important to a Distribution Channel? Wholesale distribution in any industry plays a crucial role in enhancing the flow of processes in a distribution channel. From manufacturers to wholesalers to retailers, there are numerous processes that a product has to go through before it reaches the end consumer. Wholesalers play a major role in keeping the process efficient and transparent. Wholesale product distribution is the act of buying large quantities of goods from a producer or manufacturer, then selling the product to the end consumers in bulk or retail. The wholesaler directly buys from the manufacturer in bulk. Then the wholesaler stores the products in a physical warehouse and distributes it to the end consumers. They are also responsible for keeping track of their inventory, accepting client orders, and handling transportation for shipments. The wholesale distributor can distribute the products under their own brand. This makes wholesale product distribution an easy way of building a company brand. Manufacturers can also be their own wholesalers. Wholesale distributors enable overseas or domestic manufacturers or service providers to distribute products and services in any given area. This is done without the trouble of initiating and maintaining consumer contacts, thus saving them money and time in marketing and product distribution. Wholesalers are heavily invested in the success of the product they’re distributing. So many of them conduct industry research studies that investigate consumer behaviors and market growth that will increase their ability to gain higher profits. These marketing research studies give manufacturers solid basis to tweak, improve, or maintain production processes. 3. Make the Products More Accessible. ​Another importance of wholesale distribution is how it makes products accessible to retailers and end consumers. Retailers and end consumers often wouldn’t want to transact with manufacturers because they are often difficult to get a hold of and they usually only cater to wholesale buyers. Some manufacturers are even located overseas, and shouldering the international shipment fee for an end consumer is out of the question. Wholesale distributors make it so much easier for retailers and end consumers to access products and services that they need. 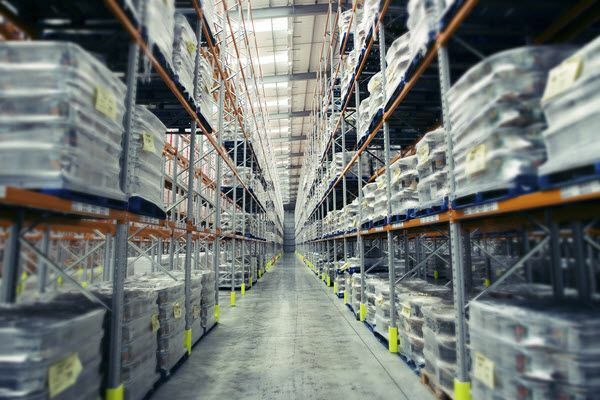 Most wholesalers cater to end consumers and often set up shop at accessible locations, so customers who want to buy on-site can quickly locate and visit the warehouse. 4. Keep Prices in Check. Wholesale markets encourage competition among manufacturers and in the process keep prices of goods or services transparent and competitive. They also make available market information such as prices and buying processes to the masses, minimizing transaction costs for end consumers. These functions underscore the importance of wholesale distribution in keeping the distribution process efficient and in stabilizing market prices and competition. Wholesale markets make it possible for retailers and end consumers to access low quantities of products and at the same time promote healthy market competition. They also provide invaluable insights on market growth and trends, driving manufacturers to produce more consumer-friendly and high-quality products.